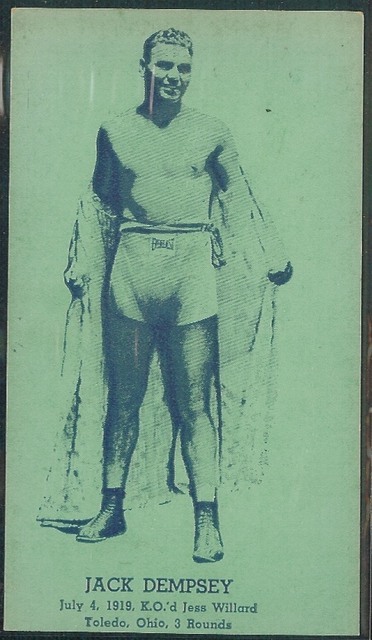 Kid Herman Jack Dempsey. Printed on thicker cardboard like an exhibit card, often mistaken for them. The earlier printings of Dempsey feature a different pose.